This past weekend witnessed a special event in boxing, as WBO/WBC 140lbs belt-holder Terrence Crawford swept aside IBF/WBA ruler Julius Indongo to become just the third man in history to unify boxing’s “Big Four” sanctioning belts. With each of the four governing bodies naming a minimum of one titlist across seventeen weight categories – not to mention various pointless distinctions between “super”, “regular”, “interim”, “diamond” and “emeritus” champions – the anointment of a truly undisputed king, albeit in a single division, provides a welcome reprieve from boxing’s messy landscape. Sadly, the ideal scenario of crowning an undisputed champion in every division is a virtually impossible task. In practice, the requirements of each governing body set against the promotional and contractual obligations inherent to the business of boxing almost always prevent a single fighter from capturing all four belts, with multiple titles fragmenting far more easily than they are unified. Bernard Hopkins, who became the first man to unify all four belts following his blockbuster clash with Oscar De La Hoya in 2004, managed a single defence before losing to Jermain Taylor, who was promptly stripped by the IBF before rematching Hopkins. Now joined by Crawford, they are the only men in history to achieve the feat of simultaneously holding all four belts, although the late 1990s and early 2000s saw Lennox Lewis, Roy Jones, Kostya Tszyu, O’Neil Bell, Winky Wright, Cory Spinks and Zab Judah widely recognized as “undisputed champions” of their divisions, despite only holding the WBC, WBA and IBF titles. Whether these men were ever truly “undisputed” is debatable, though. For while it’s now accepted that there are four bona fide world championships, it’s far less clear precisely when the WBO gained recognition as a member of this group. When Pernell Whitaker unified the WBC, WBA and IBF lightweight titles in 1990, for example, the WBO existed but was not yet widely viewed as a genuine world title. By the time Kostya Tszyu performed the same feat at 140lbs a decade later, the WBO was much more widely respected, with a plethora of modern great fighters – including the likes of Johnny Tapia, Marco Antonio Barrera, Naseem Hamed, Joe Calzaghe, Dariusz Michalczewski, Oscar De La Hoya and Winky Wright, to name a few – having already established themselves as legitimate world champs by virtue of their WBO status. In other words, aside from Hopkins, Taylor and now Crawford, how long the list of undisputed champions from the modern era really is depends on which source you read, and on whose definition you accept at a given point in history. With the relative dearth of fighters successfully able to navigate the minefield of boxing politics in order to become the “undisputed” ruler of their weight, fans and scribes also appeal to the notion of a “lineal” champion to resolve the issue of divisional supremacy. The lineal championship functions much the same way as a royal bloodline: you are “the champ” by virtue of the fact that you beat the champ, who beat the champ… all the way back (in theory) to the original champ. The advantage here is that it circumvents the political chicanery of the alphabet bodies. The drawback though comes packaged with the lack of tangibility: since lineal status is conceptual rather than concrete and depends on historical linkage rather than “official” recognition, sooner or later it diverges from the sanctioned titles. And though the lineal championship carries more historical value, it lacks the visible force that comes with wearing a big shiny belt. Muddying the waters further still is the fact that situations arise where rival lineal and undisputed champions exist at the same time. A classic example of this occurred in the late 1980s, after Michael Spinks defeated IBF and true heavyweight champion, Larry Holmes. Later, Spinks was stripped by the IBF for refusing to fight their No.1 contender in favour of a more lucrative bout, leaving the bizarre situation whereby the man holding the most legitimate claim as heavyweight champion didn’t own a single one of the official belts. Meanwhile, a new force by the name of Mike Tyson blitzed his way through the rest of the division, collecting the WBC, WBA and IBF titles in order to become “undisputed” champion – the paradox being that Tyson’s status as undisputed champ was legitimately disputed by the lineal champion, Spinks. Fortunately the mess was resolved when the two rival claimants met in the ring in June 1988. In an event billed as “Once And For All”, Tyson knocked out Spinks in ninety-one seconds to settle the argument; though in more modern times we haven’t always been lucky enough to witness such a conclusive resolution. In fact, Macklin’s description and The Ring’s designation of Jones as their champion both ignored the stronger lineal claim of German-based Pole, Dariusz Michalczewski. Two years prior to Jones, Michalczewski had also unified three belts, adding the WBA and IBF to his WBO crown by defeating Virgil Hill, in June 1997. Michalczewski immediately dropped the WBA and IBF belts that Jones subsequently acquired, but successfully defended the WBO and lineal title a further fourteen times, finally losing to Julio Gonzalez in 2003. Jones’ supreme talent and almost universal recognition as the best pound-for-pound fighter during that time led many observers to simply overlook Michalczewski’s earlier fine achievement and more valid claim as the true light-heavyweight king. For years a potential bout between the pair was one of the hottest in world boxing, but with Michalczewski content to defend his lesser-regarded WBO belt in Germany and Jones refusing to contemplate travelling to Europe, sadly unlike Tyson-Spinks the matter was never resolved between the ropes, and the mess left behind still resonates today. In April 2008, Bernard Hopkins and Joe Calzaghe fought for the same Ring 175lbs belt, in a bout widely described as being for the lineal championship of that division, by virtue of the fact that Hopkins had defeated Antonio Tarver, who had defeated Jones. This was only true though if you were willing to ignore the less glamorous claim offered at the time by Zsolt Erdei, whose lineage stretched back to Michalczewski, via Julio Gonzalez. 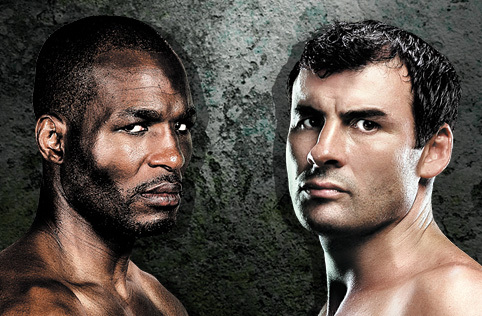 In the end, both Calzaghe and Erdei vacated their championships without ever losing in the ring (Calzaghe retired while Erdei moved up to cruiserweight), and almost a decade later we find ourselves pretty much back where we started. Today, Andre Ward effectively sits in the position previously occupied by Roy Jones: widely regarded as the world’s pound-for-pound No.1 boxer, he also holds the WBA, IBF, WBO and Ring 175lb titles, though crucially, rival WBC belt-holder Adonis Stevenson owns the stronger claim as lineal champion. Following his first-round demolition of Chad Dawson in 2012, Stevenson became known as “the man who beat the man”, but much like Michalczewski before him, a lack of ambition in his choice of opponents has made it easier for the fight fraternity to overlook his status. Having initially been recognized as The Ring champion, in November 2015 the magazine stripped Stevenson due to a lack of top-level opposition, awarding their vacant title to the winner of the Ward-Kovalev rematch instead. Regardless of The Ring’s decision, ultimately – as with the Jones-Michalczewski situation – they cannot re-write history. Ward may correctly be viewed as the more talented boxer and deserving champion, but until he meets Stevenson in the ring he cannot claim total supremacy over the division. Meanwhile the current situation at heavyweight has echoes of the Tyson-Spinks episode, with IBF/WBA titlist Anthony Joshua’s status as the numero-uno effectively hinging on Tyson Fury’s return to the ring. Whether Fury still considers himself to be an active boxer seems to depend which way the wind is blowing, though should he return anytime in the near future his 2015 victory over old king Wladimir Klitschko at least gives him a legitimate claim to being the true ruler of the heavyweight throne. At middleweight, thankfully things are moving in the right direction as triple belt-holder Gennady Golovkin finally gets his shot at the lineal crown held by Saul Alvarez, whose 2015 WBC title victory over Miguel Cotto links him directly back to the original undisputed king, Bernard Hopkins. Somewhat annoyingly, technically the winner of the GGG-Canelo mega-bout will still need to capture Billy Joe Saunders’ WBO belt in order to reclaim true undisputed status, but at least the consensus No.1 and lineal positions will be consolidated again. Unfortunately for boxing fans, identifying a single, incontrovertible champion in every weight class is likely to remain a pipe dream for some time to come. The lack of a centralized governing body means that controversy will continue to surround differing interpretations and competing interests, and a consensus view of who “the real” champ is from within the fight community may be about the best we’ve got. The only solution and route to clarity, really, is to ensure that the best fight the best as often as possible, so that we resolve the question of supremacy more like Tyson-Spinks, and less like Jones-Michalczewski. Terrence Crawford now sits as the WBC, WBO, WBA, IBF [undisputed], Ring and lineal light-welterweight champion. Here’s to hoping we don’t have to wait another twelve years for the next boxer to attain the same status. Conor McGregor is an interesting character. If you listen to him in an interview, he can be witty, polite and genuine. When he forwards an outlandish prediction, he does so with calm and conviction. Speaking in front of a large audience, McGregor is often animated, fiery and profane, yet manages to maintain a sense of humour. He has charisma. He knows how to captivate the public’s attention. Regardless of setting, he always emanates a cast-iron certainty in his own ability to bend reality to his will – a quality shared by some of the most successful people in history, most notably the greatest boxer ever, Muhammad Ali. Ward Skips HBO Face Off: Prima Donna or Pre-Fight Gamesmanship? Author’s Note: This article was written on 17th April, 2008, and was my first ever attempt at a full-length boxing article. I’d like to extend a huge thanks to Thomas Hauser and T.K. Stewart, who kindly took the time to read it and offer feedback and words of encouragement. Friday night sees the long-awaited comeback of “Rowdy” Ronda Rousey following her shocking defeat to Holly Holm last November, in a result infamously described by UFC commentator Joe Rogan as, “the biggest upset in combat sports history”. Prior to her defeat, Rousey had demolished a string of 12 opponents with only one of them making it out of the first round – a devastating record by any standard, and there’s no doubt that Holm’s knockout was a truly enormous upset, with the challenger overcoming odds of up to 12-1 against her. Who Should we Believe in the Ward-GGG Saga? Santa Cruz vs. Frampton: Are the Bookies Underestimating the Ulsterman? Following two less-than-scintillating performances in his most recent bouts, Carl Frampton goes into his featherweight title fight against defending champion Leo Santa Cruz on Saturday night as a clear underdog, according to most bookmakers. UK’s Sky Bet, for example, currently have Frampton as a 2/1 outsider, while a bet on a Santa Cruz victory will get you odds of 4/9. (That is, a winning £10 bet on Santa Cruz only pays out £4.44, while the same amount on Frampton would net you a £20 profit). These seem to be wide odds indeed, considering that the fight features two undefeated, finely matched world-class boxers, both in the prime of their careers. In a tougher-than-expected defence of his WBA, IBF and WBO light-heavyweight titles, Sergey “Krusher” Kovalev unanimously out-pointed Malawi-born challenger Isaac Chilemba on his home-turf in Ekaterinburg, Russia. Although prevailing widely on the official scorecards, the judges’ tallies of 117-110, 116-111 and 118-109 were perhaps a tad disingenuous to the African challenger and certainly didn’t tell the story of how difficult a contest this was for the defending champion. When Amir Khan’s May 7th bout with Mexican boxing icon Saul “Canelo” Alvarez was announced, the reaction among the world’s fight media was, almost universally, one of “welcome surprise”. Outside of the fighters’ camps, few had anticipated a match-up between the newly crowned WBC middleweight belt-holder and Britain’s former 140lb world champion being made. The shock of the announcement was coupled with a healthy dose of enthusiasm though, for what promises to be an entertaining meeting between two of the sport’s most recognizable names. While I share the sense of excitement for what is undoubtedly a fantastic piece of matchmaking on the part of Oscar De La Hoya’s Golden Boy Promotions, amidst the fanfare I would also caution against exaggerating what the fight means in the wider context of the sport. Canelo-Khan may well be a fascinating meeting between two world-class, world-renowned boxers, but it nevertheless falls short of the vaunted “Superfight” status that many media outlets labelled the contest with. Pacquiao-Bradley I Scoring Re-Visited: Heist or Hyperbole? On Saturday night, the MGM Grand Garden, Las Vegas, sees the third installment of Manny Pacquiao and Timothy Bradley’s welterweight trilogy, in what is likely to be the Filipino legend’s final outing in the ring. While officially the fight serves as the rubber match in their three-fight series, many would argue that in reality Pacquiao should be entering the “decider” with a 2-0 lead, owing to the controversial nature of their first meeting. In June 2012, Bradley was awarded a split points victory over Pacquiao, relieving him of his WBO world title. Here, I take a look back at one of the most high profile, contentious decisions in modern boxing history, and question whether the judges’ verdict that night was deserving of the widespread outrage it caused. Who Wins: Liam ‘Beefy’ Smith vs. ‘Sugar’ Shane Mosley? After Liam Smith’s fantastic victory for the WBO light-middleweight world title last Saturday night, the new champ suggested that the likes of former pound-for-pound stand out and American legend ‘Sugar’ Shane Mosley should now “be calling me out” – igniting a brief back and forth between the pair on Twitter. Who is the best ever 168lb fighter from the UK: Joe Calzaghe or Carl Froch? In this two part article, I look at ten of the biggest boxing events from the last twenty-five years and consider their “super-fight” credentials against Mayweather-Pacquiao. What exactly do we mean by the best fighters in the world, “pound-for-pound”? And how do we decide who gets to be on the list? Who Wins Froch vs Groves? Carl Froch vs. George Groves: Who Wins? Boxing is an inherently psychological undertaking. It is an activity that exposes the contestants to far more than the simple prospect of defeat: the potential combination of public humiliation and genuine physical harm percolate in a fighter’s mind to a degree that few who have not lived the experience can reasonably quantify. Far from being a mere test of physical skills then, boxing is perhaps one of the purest tests of human will power. 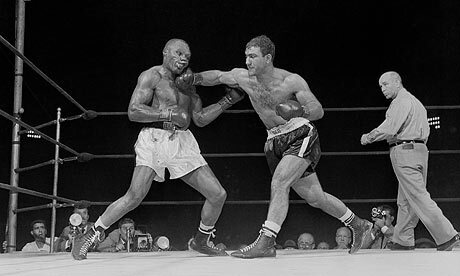 Some of the biggest contests in boxing history have therefore been won or lost through cunning, bravery and fortitude as much as they have speed, strength and stamina. Surely the only position in the rankings not up for debate. Incredibly, Mayweather’s opposition seems to be getting better the older he gets. This is likely due to the big bucks thrown at his feet by cable TV company Showtime’s expensive drive into the boxing market, but let’s not complain. Mayweather already has fifteen years as an undefeated world champion behind him. There is little chance of him being knocked off this perch until that run ends. “Are you gonna give me a ring about this training then or what?” called out the coach, across the noisy gym through the swinging bags. “You give me a ring – and I’ll make you famous” shot back the fighter, over his shoulder as he strolled nonchalantly by, without breaking a step.